Everett, MA – Dampney Company, Inc. has announced that all of their aerosol paints and coatings have been reformulated using low MIR solvents in order to protect people and with environment. This includes their wide variety of high-temperature automotive, commercial, and industrial products. 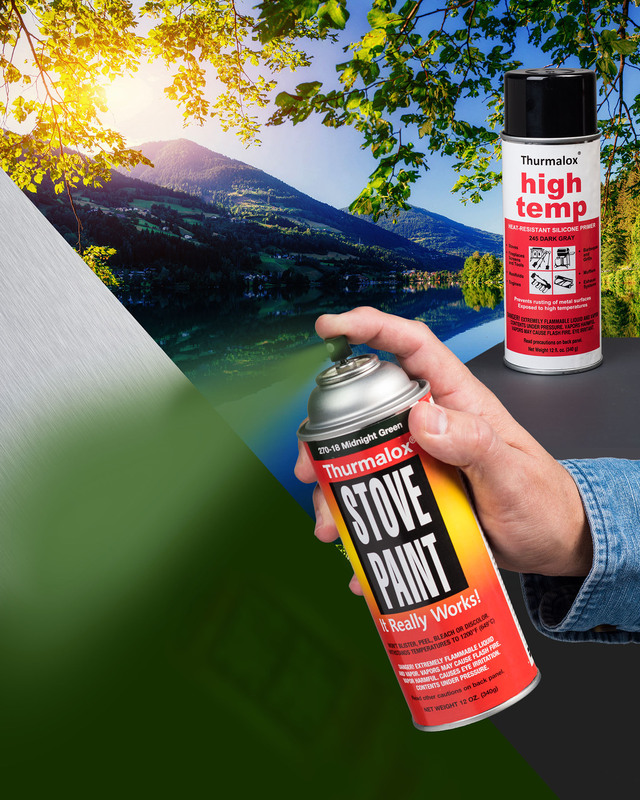 Dampney Aerosol Paints & Coatings include Thurmalox® Stove Paint and Alvin® High Temperature Automotive paint which come in a wide range of colors and when applied over their silicone primer can withstand repeated thermal cycling to 1,200°F and will not blister. These coatings made using low MIR solvents are safer for the health of people, animals, and the environment. MIR (Maximum Incremental Reactivity) value measures the tendency of a chemical to form ground-level ozone and smog which can be harmful to humans and the environment. Dampney Aerosol Paints & Coatings with low MIR values meet or exceed EPA and State emission requirements. Low VOC (Volatile Organic Compounds) compliant coatings are also offered in bulk packaging. Dampney Aerosol Paints & Coatings with Low VOCs and low MIR are available in aerosol, quarts, gallons 5-gallon, and 55-gallon packaging.